Acetylene gas cylinder safety cap. This will work with acetylene cylinders with FINE threads which most cylinders are now. 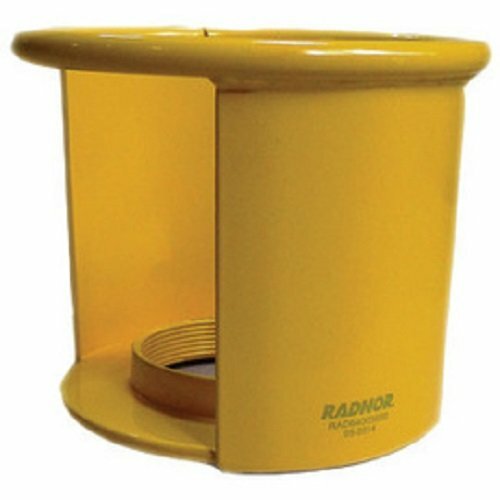 This cylinder cap will protect the cylinder valve in case of the cylinder falling. The thread size on this is 3-1/2" X 11TP 1 X6-7/8".UL Listed. To comply with the Department Of Transportation requirement, the main valve must be in the off position in transportation. The Griftan safety cap can be used for transportation with the valve closed. Fine thread 3-1/2" X 11TP 1 X 6-7/8"
Griftan safety cap can be used for transportation with the valve closed. If you have any questions about this product by Griftan, contact us by completing and submitting the form below. If you are looking for a specif part number, please include it with your message.